Beetlejuice! BeetleJuice! Beetle...! 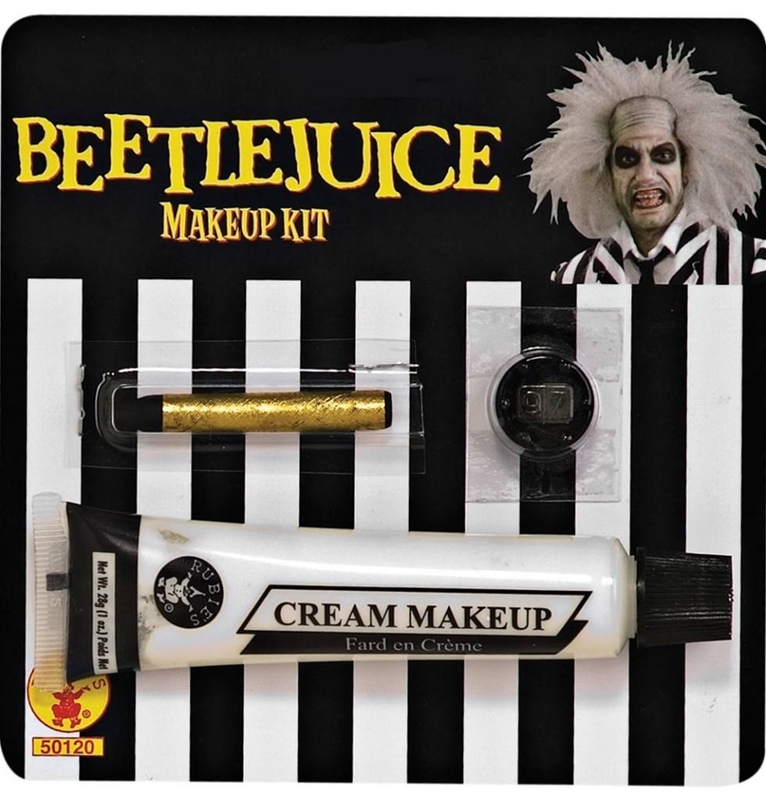 Add the finishing touches to your costume and fully transform into the beloved miscreant with the Beetlejuice Makeup Kit. This kit includes a tube of white cream makeup, a black makeup stick, and tooth wax to create the appearance of decaying teeth. Say it three times, and it's yours.